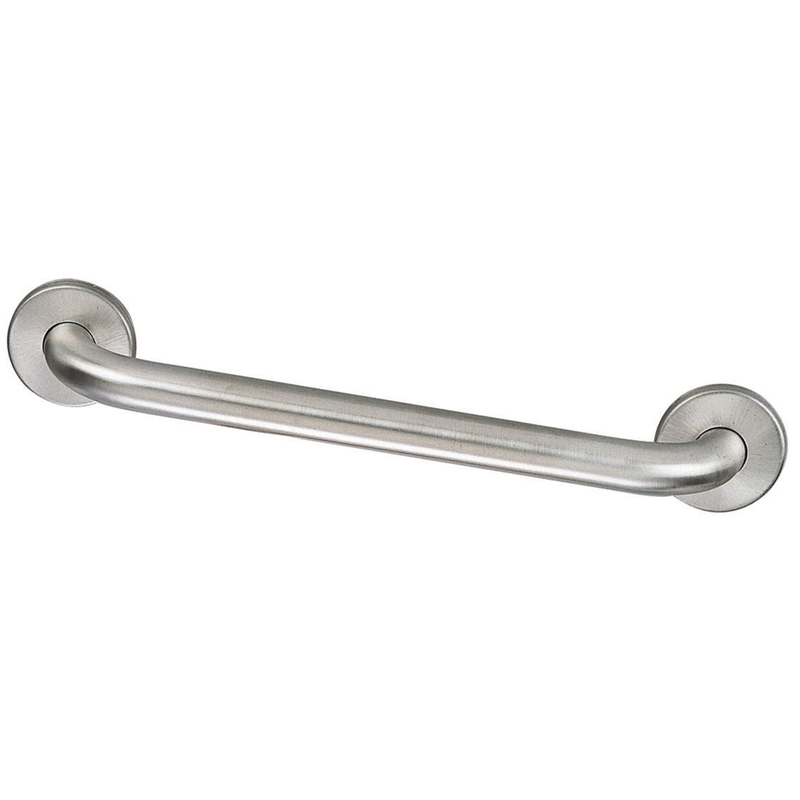 The Design House 514083 Commercial Safety Grab Bar is made of 304 stainless steel and 18-gauge tubing. (6) 4.5-inch by 2-inch screws come with this bar and remain concealed when installed for a clean finish. Use these screws to secure the safety bar on a wall. Made with stainless steel with a satin finish, this grab bar can withstand 1000-pounds of pull-force and will remain sturdy after years of use. This commercial safety grab bar measures 16-inches in length with a 1.5-inch diameter and features heavy-duty 18-gauge tubing. Wall clearance is 1.5-inches for an easy grip. This bar is ADA compliant to ensure accessible design for those with disabilities. The Design House 514083 Commercial Safety Grab Bar comes with a 1-year limited warranty that protects against defects in materials and workmanship.